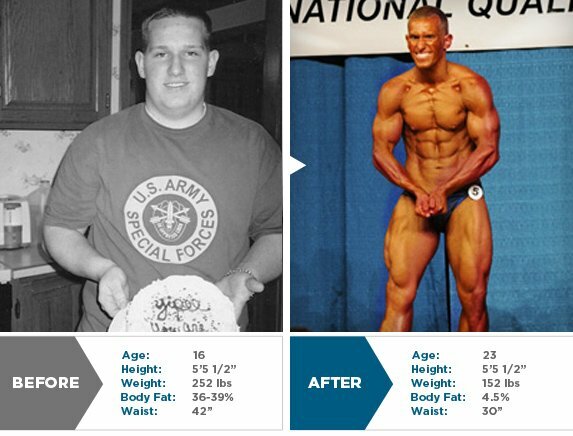 "I decided to change my physique when 16 years old. I had played football the past few years and was, obviously, a linemen. I stopped playing football after my sophomore year of high school and noticed my weight continued to go up a little bit at a time. After my 16th birthday, I remember standing in the bathroom looking in the mirror and thinking, "What happened...?" I had always been the short chubby kid growing up but this was a whole different story." "From that day on, I decided that I was going to do research on how I should be eating and working out so I can lose weight and hopefully like my physique one day. I picked up a couple of fitness magazines from the store and searched the web for bodybuilding information. 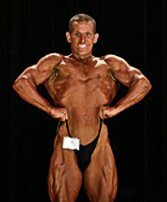 I found myself on Bodybuilding.com." "I had always been the chubby kid of the group, after a while it became normal, but never something I was happy with. I received my undergrad in 2008 and started working in an office - wake up call! There were women, and men, in my office who were only 35 and overweight just because "work took over their life" and quite honestly it IS exhausting, mentally and otherwise." "I used to never have energy after work myself, and happy hour was always a must. It took me a year working a corporate job and seeing all the bodies, all the pastries scarfed down every day, and cup after cup of coffee to see that everyone was still sluggish … and round! That is when I decided "It&apos;s time for a change, now!"